Regarded as one of the finest producers and DJ’s of his time, Kris Menace is just as likely to get support from Erol Alkan, Soulwax and Boys Noize as he is from Aeroplane, Sasha, Tiesto and Pete Tong. 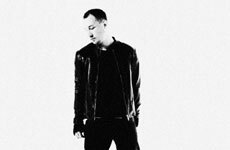 It’s his perfect balance of underground credibility and widespread accessibility that has made him able to carve a niche for himself as a hugely respected figure in electronic music and maybe one of the busiest remixers alive. Kris worked with Alan Braxe, Felix Da Housecat, DJ Pierre, Steve Aoki, Princess Superstar, Rex the Dog, Spooky and as a remixer he can list the likes of Depeche Mode, Robbie Williams, Kylie Minogue, LCD Soundsystem, Royksopp, Booka Shade, Underworld, Moby and Air as just some of the acts that have demanded his remix talents. As an A&R and label boss he’s known for his two great labels, Compuphonic and of course, Work It Baby, where he nurtured artists such as Fred Falke. Menace’s debut single, “Discopolis”, w/ Lifelike, released on Alan Braxe´s Label “Vulture Music” became a huge Ibiza & House anthem. 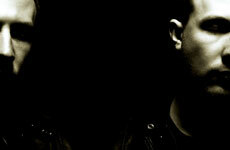 After one of the most downloaded tracks on Beatport named “Jupiter” and follow releases, 2009 saw the release of a ‘Best Of’ 3 CD set entitled “Idiosyncrasies”. A triple disc collection of classic tracks interspersed with fresh new productions, collaborations and some of his best remixes. In 2010, Kris collaborated with KoweSix to create the Project “Black Van”, which was signed to LCD Soundsystems Label “DFA” and “Permanent Vacation” and became Beatport nominated as Nu-Disco Track of the Year and therefor one of the most downloaded Nu-Disco Tracks of 2010.